This chapter presents various epithelial and epithelial-like lesions which are rare in children. They have the same morphology and immunohistochemical profiles as the same tumors when seen in adults. However, the frequency of presentation of these lesions in specific locations, as well as their differential diagnoses, may be different. Due to their infrequency and sometimes morphologic similarity to more common round cell tumors, they are not always considered as differential diagnostic possibilities. 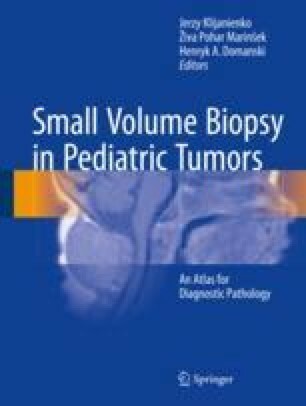 Thyroid lesions will be considered in a separate chapter due to their importance in childhood pathology. Barroca H. Pediatric cytology (Up to date 2016). Nasopharyngeal carcinoma. 2016. www.eurocytology.eu/en/course/1685. Accessed 12 Apr 2017.